What makes us remember one particular moment out of the millions that raced past? I should remember the moment I was told my father had a serious heart attack. I was five, and old enough to understand. But so many of my early memories are single images, unconnected to the moments that preceded them and those that followed: looking through the pink chiffon of my mother’s evening dress, sucking a sugary droplet from a honeysuckle blossom, watching the tall swells through a porthole on an ocean crossing. Most of the moments I remember aren’t decisive instants, neither augur nor anchor. From them I imagine: I was a scaredy-cat; I was a whiner; I was a tomboy. I imagine my father, too. He’s been dead for over two years. When I write, I meet him again for the first time. No one can confirm who my father was. The people who might have had better answers — his brothers, his friends, his Marine Corps brothers, my mother — are all dead. Even if they were alive and could return to the periods that escape me, I’m not sure their account would be closer to the truth. Not even my brothers can confirm or deny my account because their relationship was son to father. I’m the only one who knew my father as I did. The images are pushpins that hold up my stories. The story of how I wanted to feel close to him. The story of how I did. They’re not much, but maybe they’re enough. But my much maligned metatarsals do not explain why shoes are on my mind. Earlier this month I learned a new word while attending my second residency at Bennington MFA Writing Seminars: objective correlative. Lisa Doublestein defined it in her graduate lecture as “a symbolic article used to provide explicit rather than implicit access to emotion in art.” An objective correlative offers a shortcut to the feeling the author wants to convey — connecting readers, stories and characters. An objective correlative says it without saying it. Objects, I realized, are my way in: objects lead to memories, and memories lead to feelings. My mind — racing to the next thing and the thing after that — rarely stops to consider feeling. But objects, real or imagined, can pull me to a stop. When I looked back at what I’ve written over the past six months, I was astonished to recognize a recurring thread. “Remember to pick up your left foot, Dad, I reminded him as we proceeded. I listened for the telltale scrape of his left shoe brushing the sidewalk. A year after his stroke, he still had to think to swing his left leg all the way forward and strike with the heel. Every weekend—Sundays I think—my father would assemble his kit: a brown towel, an old nylon stocking, Aqua Velva aftershave, thin rags coated in polish, two horsehair brushes (one for brown, one for black), shoe black, and several cans of Kiwi shoe polish—cordovan brown, black, and clear. On the floor in front of him he lined up his shoes—at least two pair and sometimes three. His shoes were of high quality, leather that would last, in enduring styles: wing tips, I remember, with thick soles. After laying the brown towel across one knee, he began his standard operating procedure: remove laces, wipe with damp towel, twist open lid of brown or black shoe polish, apply thin coat with previously used cloth, set aside to cure. Repeat with mate. Returning to the first shoe: buff the tongue, inside, heel, outside and toe with the brush matching the shoe polish; repeat application of polish; when ready, buff: swipe shoe with aftershave to harden the polish. Then: rest shoe on the cloth-covered thigh, heel toward the belly, grasp nylon with two hands roughly 18 inches apart, see-saw across the nose of the shoe. If necessary, tidy up soles with shoe black. He hadn’t polished his shoes for at least ten years before he died, having exchanged his oxfords for sensible shoes, most recently black Brooks Addiction Walkers. Their wide soles helped stabilize his balance, or in the manufacturer’s promotional language, their “energy-returning MoGo midsole cushioning… provides study support mile after mile by supporting low arches and keeping pronation under control.” I replaced them every six months, inserting the orthotic that shoved his collapsed arch — (the left or the right? how could I forget?) — into a shape resembling a normal foot. When I met with the Academics Officer at Officer Candidate School in conjunction with research I’m doing, he told me they can tell something about a recruit’s commitment from the way he or she selects his boots on day one. Footwear, again. I remember how my father loved to recount how his flat feet almost barred him from consideration by the Marines… how my mother was inordinately proud of her shapely feet (a former I. Magnin shoe model)… how my father rubbed my mother’s feet at night. She had bunions just like mine. All summer and fall, I’ve been trying to write about my mother, who died in 1999. I thought I was at peace with her when she died. I had been one of her hospice caregivers during the months she struggled for breath, and I was with her at the moment of her passing. At one point, she even made a speech in which she said everything I ever hoped she would say to me. My mother and I had no unfinished business, or so I thought. But every time I went to write about her, I remembered a particular instance in which she threw underhanded, called me a name, apologized later. It became my personal whack-a-mole. No matter what I was writing about — my childhood, my father, my husband, my own children — up the incident popped. Yes, her comment was mean. But why skewer her? If she were alive, we could have a good fight about it, a fair fight. That one scene did not a relationship make. There were hundreds of other scenes — thousands — I could have brought to mind, but I was stuck. The words would not come. Until I opened the box with the Chinese brocade. I don’t know what possessed me to go spelunking in my attic last week, but I felt compelled to pull out some of the stuff I have squirreled away in nooks and crannies. I’ve inherited some stuff, and collected other bits when my father moved out of his house in 2003. On this particular day I went looking for the bins I stored among dusty luggage, abandoned briefcases and boxes of seldom-used holiday decorations. The last time I opened one, I think, was when one of my children mined it for show-and-tell. Both of my children are out of college now, so that had to be long ago, at least a dozen years back. Through the translucent side of the top bin, the contents looked like layers, vanilla except for a ribbon of red. What could possibly be so unabashedly red? I removed the packing tape, so old it it cracked rather than peeled, to discover what was on top. Oh, it’s you, I thought, as I extracted the remnant of silk. Left over from the cheongsam my mother had made when we lived in Hawaii, I greeted it like a long lost friend. It’s red without the pop of orange, red without a calming hint of blue: red for blood, red for lust, red for love. It’s red as in red-white-and-blue for the nation’s birthday, which my mother conscripted into a celebration of her own every July 3rd. When I touched the fabric, still as vibrant as it was 50 years ago, I could see my mother laughing, regaling the family with the story of how she had pointed to where the slit should end, mid-thigh, and how the seamstress kept gesturing to a spot a foot lower and shaking her head: “not Chinese lady.” I remembered my mother showing off the finished product, her curves straining against the thick brocade, her thigh peeking forth a full three inches above the knee. My mother had movie star legs and feet so lovely they landed her a college job modeling shoes at I. Magnin, the nicest store in Seattle. Did the shoe models parade down a runway curtained like a puppet stage, I used to wonder, so that only the calves and ankles showed? My grandfather, who knew more than he should have about a nicely turned leg, reportedly told my father upon meeting her, “Son, a pretty face will fade away but a good pair of legs is a joy forever.” She was never traditionally pretty — exotic, yes, with the olive skin of the Black Irish, cheekbones like Mt. Rushmore, pillowy lips and dark brown eyes that snapped beneath lids that almost lacked folds. An interesting face, a strong face, but not one that could precisely be called pretty. Her hair, in the last ten years before her death, was more gray than brown but what she lamented was the increase in shoe size that followed the birth of five children. The beautiful shoes she’d received in exchange for modeling — the pumps and the sling backs and the snappy navy Spectators — all had to be given away. Once I had touched the silk, she seemed to be woven into everything. 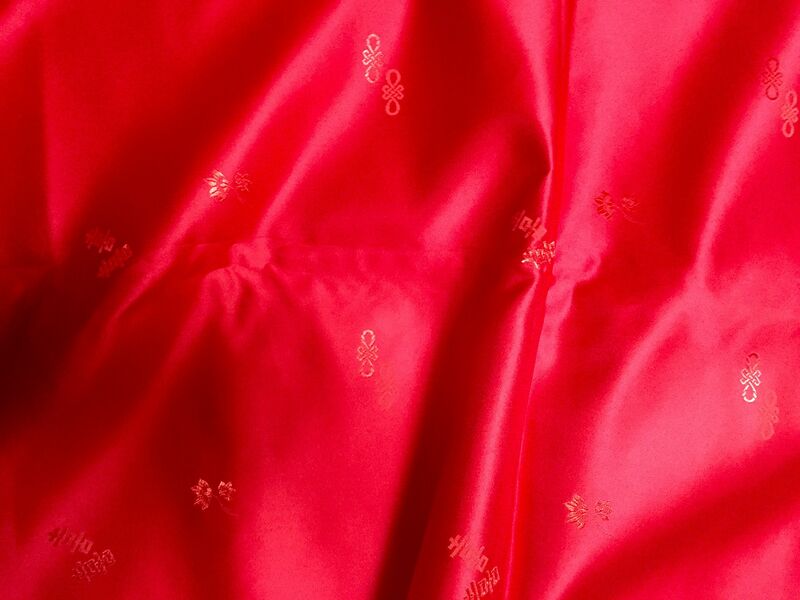 Below the red silk was a pink bed jacket that had been my grandmother’s but it was my mother who told me about it. Now that I think about it, that brief exchange was just so my mother. I know she missed her mother, who lived with us for many years — she was a big help with the children — but I don’t think she kept the old lingerie for its utility. So far as I know, she never used it. I think she kept it for its sentimental value, for the same reason that I cannot purge it. I thought of her again when, at the bottom of the bin, I saw a little christening robe with an embroidered wooly kitten. I’m almost certain it was made for my sister. My sister, Madeline Elizabeth, was born in 1950 and died on October 22, 1953, two days before my father’s birthday. They called her Midge. She was my parents’ third child, planned to be their last. At thirty-two, my mother had her daughter. Sometime around Midge’s first birthday, my parents noticed that she was tired and listless, not the energetic little girl she’d been. My father’s brother, a doctor who specialized in blood cancers, came down from Boston to examine her. He took a sample of bone marrow from her hip and diagnosed leukemia. For almost three years, my uncle treated her with an experimental drug. During Midge’s last remission, the family vacationed on the Northeastern shore. In one picture, she held my father’s hand, looking shy. Even though she was not yet four, she wore size 6 clothing due to the weight gain that was a side effect of medication. It embarrassed her, my mother told me. Then the remission ended. The leukemia advanced rapidly, and after she was taken to the hospital, my brothers never saw her again. They weren’t allowed to say goodbye, or attend her memorial service, or visit her grave; in 1953, that’s what experts recommended. Midge’s death must have brought my parents to their knees, but my mother muscled through it. She would have done well in ancient Sparta. She had two other children to care for, then six and ten, and she had recently learned that she was expecting. Again, the experts weighed in, advising an abortion since the stress might be too much for her or the baby. This time, my parents ignored the counsel. My brother Dean was born in April 1954. I followed three years later. I remember seeing my mother cry only once. She was standing at the kitchen sink doing dishes and looking at me, looking at me but not really seeing me. I asked her why she was sad and she told me she was thinking about my sister. Is this how she muscled through? By putting her faith in God? By practicing gratitude? Gratitude was a common theme in the letters we exchanged over the years. When we spoke by phone, living 800 miles apart, we often struck sparks off one another, but on paper we were forced to listen. (I say “we,” but more likely it was me who had the interrupting habit.) She almost always began with news of her church “doings,” good Episcopalian churchwoman that she was. A letter I received when I was single and working in Los Angeles was written in her classic vein. She began by noting that she was “piddling around” getting some things done, including publicity about the United Thank Offering, which she lamented was rarely used as it was intended. One was supposed to put coins in the Blue Box as a personal spiritual discipline for acknowledging the good little things that happen every day. “I admit that I frequently forget to use it but I do remember a lot of the time to say thank you, God, when I get a lovely letter such as yours which came yesterday, or Dad shows his appreciation for something — or maybe because I didn’t have a flat tire when I was in a hurry and late — this past week I have been grateful when there may have been a whole 24 hours this puppy of your brother’s didn’t dig something up in the yard — or managed to hit the papers during the night.” She ended that long train of thought paragraph by saying she just wished the timing of babysitting my brother’s dog was different so that she could get on with gardening. Even that last bit is true to form. On the page, she just shrugs her shoulders and moves on. The dog digs. The garden will suffer. We shall overcome. I can think of dozens of examples when she seemed to take far bigger challenges in stride. When my middle brother came home from his sophomore year of college to announce that his girlfriend was pregnant, there were no recriminations. My mother just rolled with it. In my brother moved with his new wife and baby. Her anger worked the same way. She yelled, said her peace, gave as good as she got. But when the argument was over, she didn’t resurrect it. Her emotional lexicon seemed nearly devoid of those negative emotions that take their time to grow and then fester: blame, guilt, spite. She wasn’t one to let things marinate. I inherited my mother’s ability to compartmentalize, although I’m a journeyman in comparison. I could use more of her joy, her appreciativeness, her unbridled passion. (I’m passionate, mind you, but more given to a more bridled variety.) I could do with more of her ability to forgive — obviously, if I had a hard time letting go of the one time that she threw a slur in my direction. After she died, I typed out a list of words to describe her: proud, opinionated, funny, bold, independent, nurturing, dedicated, faithful, feminine but never frail, organized, a leader, passionate, fiery, loving. There was nothing pastel about her. I’m in Georgia O’Keefe country — at Ghost Ranch, no less — attending a five-day painting retreat taught by Tesia Blackburn, the Acrylic Diva, whose tagline is “explorations for creating art that nourish the soul.” I didn’t think I had time for this, but my friend Lisa was so persuasive (and frankly bossy) that I couldn’t say no. And here I am in the painted desert painting. 2. A good composition takes a contrast of values. In art terms, the most intense color is a 10. The palest, lightest color is a 1. Most beginning artists tend to end up with colorful pieces that have almost identical mid-range values. They lack the intensity of a saturated dark color and thirst for some areas of lighter value. Writing, too, requires variation in emotional tone. 3. Know when to stop. I think I’ll stop right there. 4. Listen to the paint; see what’s on the paper. 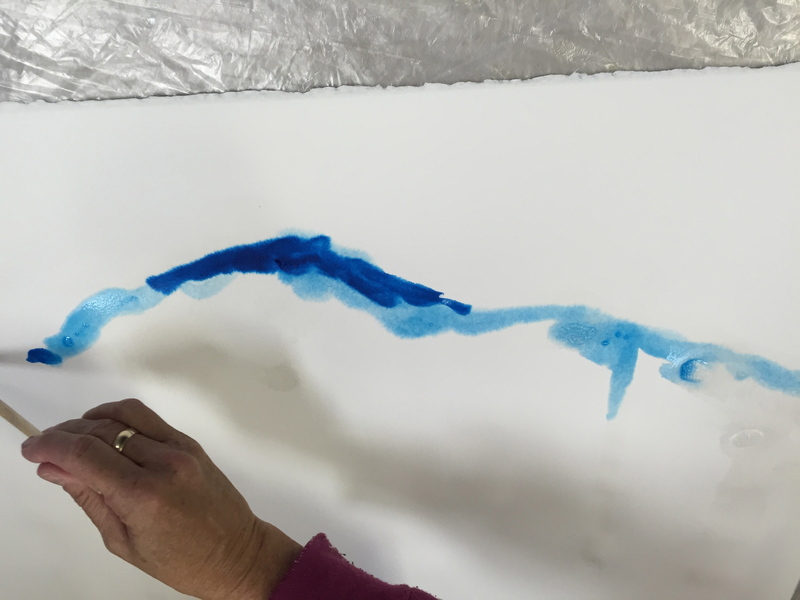 Almost everyone at the workshop starts with an idea in mind, but sometimes the paint (or here in New Mexico, the atmospheric humidity) has a mind of its own. The result is sometimes a happy accident. The product doesn’t turn out as expected; it takes off in a direction of its own. I have been astounded at how many times a piece of writing has taken a dog-leg turn… and ended up somewhere more interesting. 5. Try to get away from the “thingness” – the representation of something – and get to the spirit of it. In writing terms, I think of this as self-consciousness. When I write with a tone in mind, but not necessarily an outline, the writing seems to take a more interesting shape. 6. Loosen up. One way to do this, Tesia suggests, is to repeat an idea as a theme or a series but with different approaches. It’s like baseball, she says; you just have to keep going to bat and swinging for the fences. 7. Simplify. My Notan exercise was a perfect example. Initially I captured lots of detail from the surrounding mesa. It ended up looking like a line drawing of a golf course. The more I simplified, the better it got. 8. Fix the problem. Many first attempts just aren’t quite right. Acrylic, like writing, lends itself to editing. Paint over… or backspace/delete and cut/paste. But to find the solution, you have to have an inkling about what’s wrong with the composition. Dear lovers and writers of poetry: There’s nothing for you here today, nothing at all, except the first mewling cries of someone who is trying to understand why and how poetry is speaking to me even though I hardly understand a word. Read on at your own risk. For everyone else: This is a short story that is a love letter to a friend I have lost and found. I thought I wanted to raid poetry for its words. Poetry contains a well of words (see? there’s a metaphor already, though not a very good one since it isn’t novel; the best metaphors link unlike things) that I thought might inspire me as I attempt to write memoir. I picked up Louise Glück’s Faithful and Virtuous Night, a dreamy collection of poems that the book cover says are meant to tell a single story, although it’s not like any story I’ve ever read. That said, I couldn’t put it down and I can’t stop thinking about it. and those who wish to go back. So much unspoken mystery as Glück floats through her dream-night. I confess to feeling pretty lost but I keep thinking about the symbols she strews along her way. There is something here, I thought, more than words. Something that is affecting me. Glück took me somewhere with her when she wrote of “the blazing sword,” the kind of metaphor that Hirsch calls “a concealed invitation,” which invites the reader to figure it out. Throughout her poem there are such references to the sword in the stone, and I’ll admit I find them a puzzle. Is the narrator the heir? The heir to memory? I’ll have to get one of my poet friends to explain it to me. But besides the riddle, I was struck by Hirsch’s description of poetry’s ability to give him access to an inner life. I understood what he meant. I don’t always “get” poetry, but something in my shifts when I read some of it. The words and their rhythms go to a place within me that is beyond words, beyond logic. To a place of longing, of pure feeling, of community, of prayer. And now I will give you a short story. Yesterday I spent time with a dear friend who used to be my boss. In the professional world, she was my first true teacher and mentor. The place she holds in my heart cannot be filled by another. Just a couple of years older than me, she has been set upon by a series of strokes that the doctors don’t seem to understand. The smartest woman I’ve ever met is now much different. I won’t go into the details. Her brain is like a bog, with bits of organic material occasionally floating to the top. Thinking is hard. Putting names on things is impossible. But feeling, feeling is still there. So much love it can light up her face. So I decided to read her poetry. She cannot name images, but I wondered if words could form images in her mind, pictures that would bring her joy. I read from Mary Oliver’s “Why I Wake Early,” a book that I have taken to bedsides and even deathbeds. The fourth poem that I read to her, I think, was “Peonies.” My friend closed her eyes when she listened and I remembered that was her pose of reflection. When she wanted to listen deeply with her head and heart she would press her eyes shut so that the only thing that existed was what poured into her ears. She always heard what one said, but she listened for the meaning underlying the words, tipped off by the telltale tone of voice, the choice of words. This is what she did yesterday: she tilted her chin down and her lashes floated onto her cheeks. Poetry is a soul-making activity, Hirsch says. 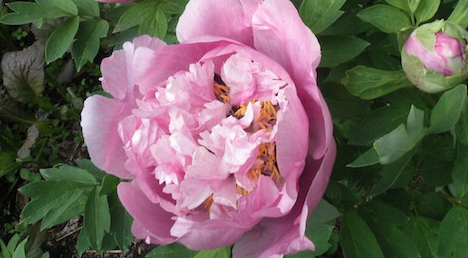 I wrote this poem, as terrible as a poet would find it, because I can’t seem to capture in prose my confusing stew of feelings: the deep grief I feel for the loss of my old friend, and the momentary joy we found together reading of peonies. Thank you, Mary Oliver, wherever you are, for the gift of that moment. Strokes like ordnance have reordered her brain. Shall I read more, I asked? Sometimes you should let it sit, she said. For the last four nights, I’ve had vivid dreams… and remembered them, which I rarely do. Maybe it’s because I wrote a piece based on a recurrent dream — well, nightmare — I had as a child. The whole Freudian listen-to-your-dreams thing has always struck me as a little goofy, but let’s have a little fun. Play along with me, won’t you? 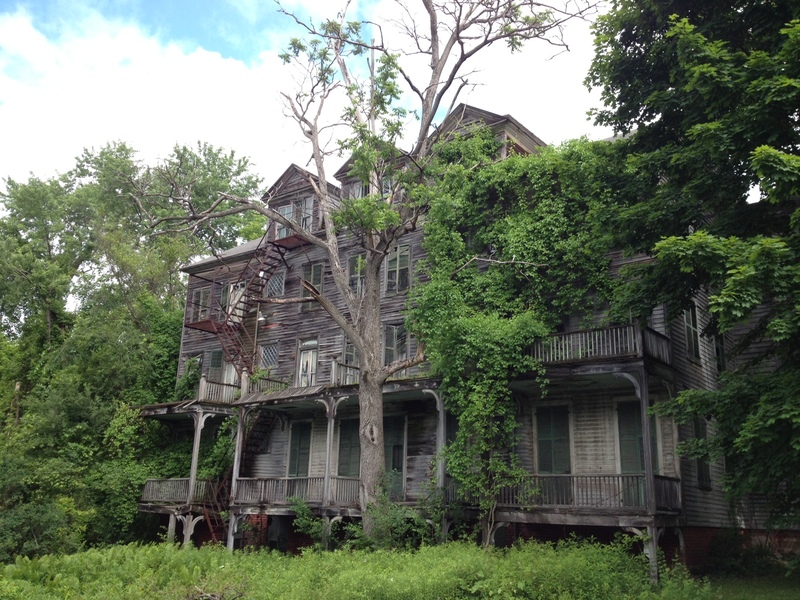 Night # 1 – The tale of the tumbledown house: I am doing a walk through of a house in terrible condition with a realtor and my husband (always the value real estate shopper). The location alone makes it a potential good investment (in Minnesota?) , but the place was built strangely and has lots of negatives: probable mold, harlequin red and green stained glass windows that make the interior strangely dark, and flooring in such poor condition that my stiletto heel (me in stilettos?) pokes through the subflooring spearing a chunk of pink insulation. I am in an increasing state of disbelief and finally say it’s too much of a mess. We walk away. Night #2 – Three dreams in which I arrive late, two in classrooms where poetry is being taught: In the first, a nonprofit board meeting, I am late and frustrated because I can’t get through the line to get in and then I don’t have a seat; in the second, I am late (again) and can’t understand the pattern of the list that the female teacher, a poet, is writing on the board; and in the third, I come in as class is wrapping up and seek out the teacher, a poet, after class to talk to him about the semester assignment to write 320 pages. I tell him I’m a Bennington writing student and he says, “You guys are the worst.” When I asked why, he said that we can write but we can never figure out how to pull the packet together. I tell him I’ve lived a little, that I want to explore The Word. He smiles and says I’ll do fine. I am relieved. Night #3 – Rainy season: The house on stilts where I am living with two children is safely above water level as the rainy season begins, but as I watch the waters rise slowly, I worry the road will flood and become pestilential. I am ticked at the base housing manager who is supposed to address the road drainage problem. Night #4 – A busy night of dreams: In the first, I recover in the hospital from a cracked spine injury and get out of bed to go to the cafeteria after the nurse tells me they ran out of food on the unit; then, after a vacation at a resort, I end up driving the bus with my fellow tourists down a narrow levee and then successfully (and confidently) back it down a switchback; finally, I go for a run alone along a drainage ditch in Davis. Hmmm. Houses. Classrooms. Teachers. Late. Flooding. Driving. Running. There’s a story, isn’t there? At least one. I am leaving behind my old attitudes (run down house) and expanding my knowledge (classroom), better late than never (late) and ready to learn (teacher). The good news is that my worries will soon be swept away (gentle flooding), I am healing (hospital) from some weakness (broken bone), have accepted the challenge before me (driving), have faith in myself (water), and am determined and motivated in the face of my goals (running alone). I need to update my thinking (run down house) and I am learning an important life lesson (classroom). I am ambivalent about a new opportunity (late) and I have childhood anxieties that have never been resolved (school) and am looking for approval (teacher). I need to release some sexual desires (flooding) but am afraid of losing control (hospital) and there is a weakness in my plans (broken bone) plus I am facing setbacks (driving backwards). And finally I need to make a decision (running) and stop wallowing in my negative emotions (muddy drainage ditch). On a good night, when the wine was flowing and we were gathered as a family around the dinner table, my father told jokes. My brother Bruce and I were given to puns of the worst sort, and for a time I specialized in the foul humor I picked up from the ad agency where I worked, but Dad was the family story teller. One of us usually handed him a cue, a short sidelong reference like, “There’s a pony in there.” Off to the races he’d go. He straightened, there at the head of the table, and made eye contact with his audience as if to ask if we really wanted to hear that old story. His pause, his expectant look, was all he needed to gather us in. But my favorite was the one about the optimist and the pessimist. My father loved to tell stories, but in the end, he left me a riddle. My father, who was doled out more than his fair share of dung in life, never gave up, never became bitter, never stopped believing in the possibility that things would get better. While many people become curmudgeonly as they age, he became gentler. Why? What drove him? If my mother had her druthers, the answer would be faith. Her faith sustained her through the loss of her father while still in her twenties, the war, the loss of her daughter to leukemia, the death of her mother, and the long frightening years of my father’s struggle with heart disease. Resting on the levee of the river during one of our many walks, I asked my father if he believed in God. I wanted to hear him say yes. I wanted that little bit of reassurance that, when the time came, he would be welcomed into heaven to join my mother, even as the little doubter in my own mind wondered if that’s what really happens after we die. “I wish I could believe,” he told me. He just couldn’t make the leap from concrete reality to ephemeral faith. 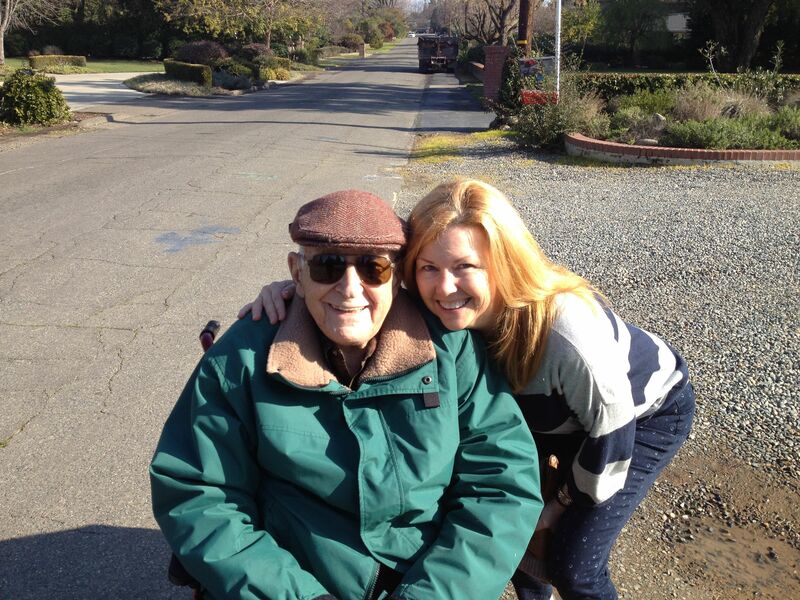 The closest he ever came to saying he believed in an afterlife was to say he looked forward to seeing my mother again. Perhaps it was love that fueled him. Love, to my father, wasn’t about what you said, it was what you did. His place in the middle of three sons, with an emotionally abusive father and a bully for an older brother, had a lasting effect on his dedication to others. My grandmother lived out her last years in a convalescent home in our community. After he ate with us, my father took her dinner every night. I’ll be honest. I didn’t like my grandmother, and she didn’t like me (she thought I was entirely too outspoken, my father confirmed much later). Why my father would want to spend time with such a sour old woman I couldn’t understand. But in his last years, I saw my grandmother as my father saw her: she was a gentle woman trapped in a loveless marriage with a philandering egotist. I remember how her face softened, how something flickered across her features, when my father spoke to her. His nightly visits were driven by more than filial duty. They were borne out of love. I’ve used a lot of trite quips to explain my father to others. “Like a Timex, he took a licking and kept on ticking.” His health challenges alone would have flattened most men: three heart attacks, three open heart surgeries and three strokes.” While we were growing up and he still had our college educations on the horizon, I know he felt he had to recover. He had to provide. That was duty. But how do you explain his dedication to come back from strokes after my mother died, after his duty was discharged? He did it a step at a time. With the help of a physical therapist, he learned to concentrate on swinging his weaker left leg and striking with his heel. He had to think about each step to avoid stumbling. When he was in acute rehab at the UW Medical Center, I remember how proud of himself he was when he demonstrated the new skill he had relearned with the occupational therapist: he made me a cup of instant hot cocoa. Even now, when I write about it, I cry. To be so reduced by a stroke that completing the steps – take out a cup, fill it with water, microwave it, pour in the cocoa and stir – was an accomplishment. It could have been humiliating, but it wasn’t. It was a milestone. A good day. The medical professionals predicted he would be wheelchair bound; then they revised it to “he’ll never walk independently without a walker.” But he did. For years, he just used a cane. My father went the distance.